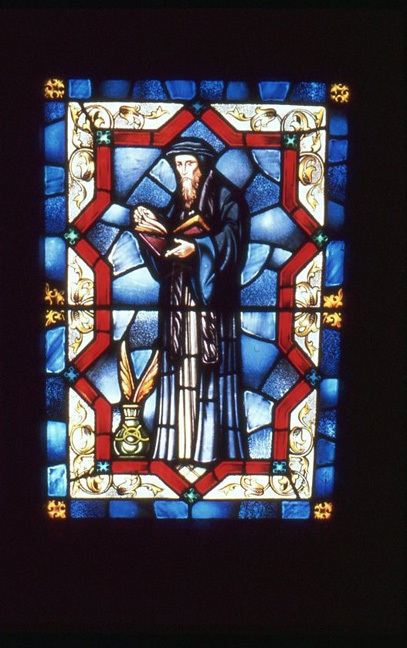 Brief Description of Subject: Rectangular window depicting John Calvin, founder of Calvinism, a theology subscribed to by Presbyterians, Congregationalists, most churches with "Reformed" in their names, most Baptists, and some Methodists. Made by Wipple Mowbray, Ltd., of Exeter, England. All church windows installed by Bela Britok, of Detroit, MI.